Need a home inspection in Fayetteville? Fayetteville is located near the center of North Carolina, in Cumberland County. Fayetteville was first settled by Scots in the 1700s, but traces its history of settlement back for millennia, when Native American tribes first inhabited the area. It’s one of the largest cities in North Carolina, with a population of over 200,000 people as of the latest available US Census estimates. In addition, there are a total of around 377,000 people living in the Metro Statistical Area (MSA). 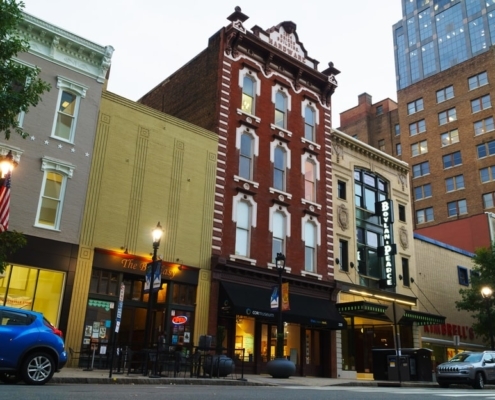 Today, Fayetteville is known as one of the best places to live in North Carolina, with low crime rates, a diverse population, and a median household income of more than $44,000. Nearby Fort Bragg is one of the biggest economic drivers in the community, and it’s responsible for about $4.5 billion of the city’s economy. Many folks who live in Fayetteville work at Fort Bragg, or are members of the Armed Forces, or otherwise work in an industry which helps support Fort Bragg. Beyond Fort Bragg, a few of the other large employers in the area include the Cape Fear Valley Health System, Cumberland County Public School System, WalMart, and Goodyear Tire, which has one of its largest manufacturing plants in the area. Accordingly, most job opportunities are in service, defense sectors, healthcare, and manufacturing. Transportation around Fayetteville is primarily car-based. Some of the major highways in the area include I-95 and I-295, as well as the All American Freeway, and US Highways 401 and 301. As far as transit goes, the Fayetteville Area System of Transit (FAST) offers a total of 10 bus routes and 2 shuttle routes around the Fayetteville and Spring Lake regions, and 13 routes within the city proper. In addition, the Fayetteville Atlantic Coast Line Railroad Station from Amtrak provides both northbound and southbound transportation along the East Coast. Fayetteville Regional Airport provides transport to five larger air hubs around the United States. Education in Fayetteville is the responsibility of Cumberland County Schools, which serves the entire region, and is headquartered in Fayetteville, operating a total of 87 schools, including a number of specialty and technical schools. There are also a number of private schools, and a half-dozen colleges in the area, including Fayetteville State University, and Grace College of Divinity. Interested in moving to the area? Take a look at a few of these helpful local resources. You’ll be able to learn more about schooling in Fayetteville, recreational opportunities, jobs and the economy, and so much more. Learn everything you’ll need to know, and start planning your move! Moving to the area? Need a home inspection? 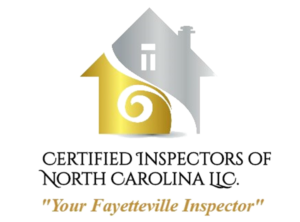 The team at Certified Inspectors of North Carolina is here to help. Whether you already live nearby, or you’re moving to North Carolina from out-of-state, our team of highly-qualified home inspectors is always here to help you as you look for real estate in the area. To get started, contact us now and schedule your home inspection today.